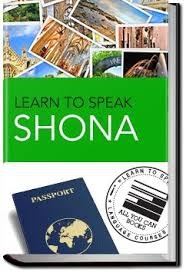 Learn To Speak Shona In Just 24 Hours. Venue: a very quiet private home in Vainona. Small (five students max) class group lessons. Fun, well-thought out, highly educational lessons. Dedicated native Shona speakers who are trained, qualified and experienced in teaching second/foreign languages. Tuition fees cover all learning materials. Choose a morning, afternoon or evening group to join. There are seven different class groups to choose from. Different classes conducted between 8am and 8.30pm. Tuition costs cover all brand new original and photocopiable learning materials and refreshments. Show up with a pen, notebook and a willingness to learn and we will do the rest. We also offer private one-on-one lessons for children (7-15 years) and adults (16-80 years) We can get a tutor to come to your home, office, school or an agreed meeting place to deliver both private one on one lessons or bespoke class group lessons anytime between 7am and 9pm. Weekend and holiday lessons available.